Starring: Tom Neal, Pamela Blake, Allen Jenkins. 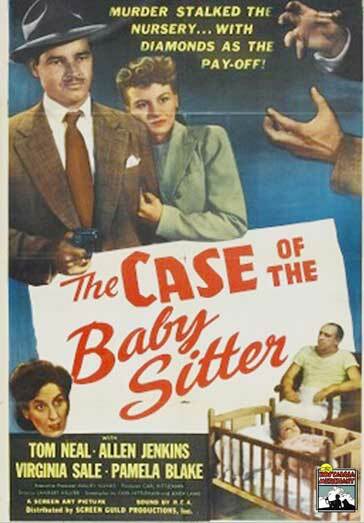 The Case of the Baby Sitter – Jewel thieves, operating in the guise of a Duke and a Duchess, hire the Ace Detective Agency, ran by Russ Ashton, to “baby sit” with an infant they have kidnapped and using as a blind. A rival gang of thieves dope the “detective sitter”, “Harvard” Quinlan, and make off with a valuable diamond. 1947 – BW – 41 Minutes. Digitally Remastered.